In early July the bright orange trumpets of wood lilies (Lilium philadelphicum) accent the New Hampshire woods around my house. 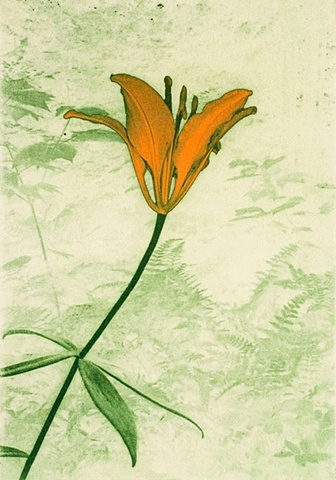 I made this print (and its companion Wood Lily 1) as a remembrance of summer. Two-color solar plate print, edition of 20.